We, M/s. Pushpa J. Shah are engaged in Import & supply of Bio Fulvic Acid. The product is tested on various parameters before supplying to clients. 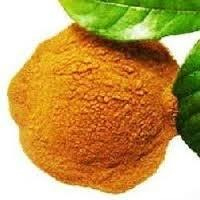 Bio Fulvic Acid is highly demanded in agricultural field as it increases the growth of the crop. 2. Enhances seed germination & growth. Improves the development of roots and shoots. 3. Bio fulvic is low molecular structure; it acts as natural chelate which enhance the uptake of nutrients. 4. Increases plant metabolism of proteins. 8. Breaks down inorganic substances. 11. pH buffering capacity-soluble in acid & alkaline soils.